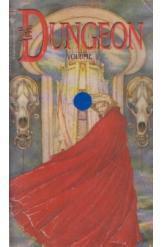 The Dungeon Volume 5 Philip Jose Farmer Sci Fi. Book is in good condition, all pages intact. Clive Foliott must descend into a planet-sized dungeon full of magic, monsters, and strange technology to rescue his brother. The first book of the Black Tower series.